The Eagles’ Hotel California was a critical and commercial phenomenon when it was released in December 1976. The album topped the Billboard charts for eight weeks in the U.S., won two GRAMMY® Awards, sold more than 32 million copies around the world, and featured two Billboard #1 hit singles. 40 years later, it still ranks as one of the best-selling albums of all time. This fall, the milestone album will add to its legendary lore with HOTEL CALIFORNIA: 40TH ANNIVERSARY DELUXE EDITION, a new 2-CD/1-Blu-ray Audio that includes newly remastered sound, ten previously unreleased live recordings, as well as hi-res stereo and 5.1 mixes. Presented in an 11 x 11 hardbound book, the set also features rare and unseen photos from the era, a replica tour book, and an 11 x 22 poster. The collection will be available on November 24. Both a 2-CD Expanded Edition and 1-CD will also be available, along with digital download and streaming versions. Pre-order now on iTunes and Amazon HERE. 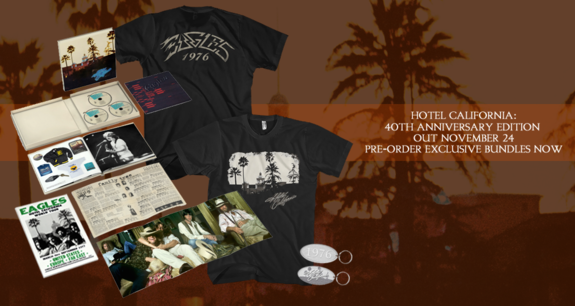 Exclusive bundles are also available for pre-order in the official Eagles Online Store, including the album, T-Shirt and keychain. 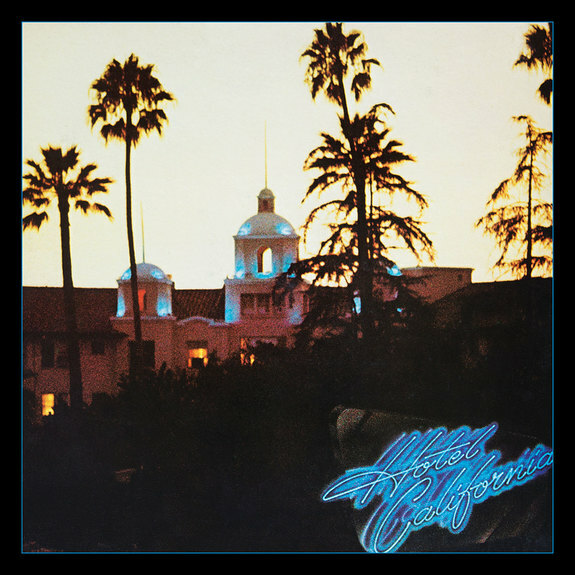 The Blu-ray Audio disc that accompanies HOTEL CALIFORNIA: 40TH ANNIVERSARY DELUXE EDITION features the 5.1 Surround Sound mix originally released on DVD-A in 2001 along with a hi-resolution, 192 KHz/24-Bit stereo mix.